Depending on what stage your business is at, your objectives could be to create awareness, gain distribution, attract investors or find partners, to name a few. Trade shows can help in all of these cases, given the various audiences they attract, such as suppliers, partners, customers and trade media. Some trade shows are so big and noteworthy that they even attract consumer media, such as the Consumer Electronics Show in Las Vegas and the Natural Foods Expo West show in Anaheim. 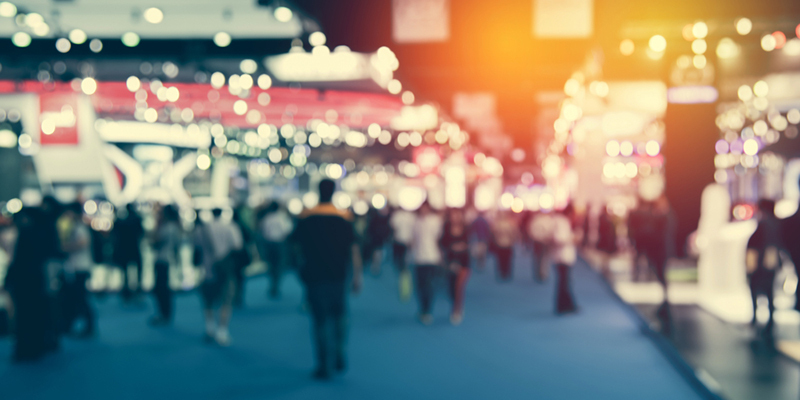 But trade shows can be costly, from both a time and money standpoint, so it’s important to think through how to make the most of the opportunities they offer. Being involved in a trade show typically begins with a space to exhibit your product or service. You will need to determine how you can provide the most effective and motivating experience in your designated space so that it is memorable even after the show is over. In what will likely be a sea of competition, what can you do to grab attendees’ attention so they visit your space? Will there be enough traffic naturally flowing past your booth or do you need to attract more? Will the right type of people come by to see you? And how can you ensure that any impact you create is remembered by attendees after they leave the show? Most events offer some form of handheld lead capturing device. If you decide to pay for one to collect names and contact info, ensure your follow-up strategy is in place before the event so you can act on it quickly afterwards. Decide how you want to categorize leads, who will be responsible for contacting them, and when and what the message will be. Make sure you have an overarching message strategy for the show that flows from any pre-show communications through the show experience and beyond into post-show messaging. Beyond having a space or booth, there are other opportunities to connect with people at trade shows. These include networking events, media opportunities and sometimes industry-recognition opportunities. Make the most of these, when they make sense for your business. You can also create your own opportunity by holding your own event, such as a customer appreciation reception where current customers are encouraged to bring others who may be potential future customers. If doing a trade show is new to you and you aren’t sure if your company should invest in it, consider walking the show as an attendee. You can see who it attracts (attendees and exhibitors), the type of exhibits, and other events happening around the show. Another idea is to consider starting with a regional event versus a national one. The costs are lower so you can try a few different things and work out the kinks before investing more. Trade shows offer many opportunities but the costs can add up quickly, especially if you want to do them well and see results. So it’s worth taking the time to consider if they are a wise investment of time and money to achieve your company’s goals versus other marketing opportunities.